The Digital Noticeboard answers one simple question - What research is happening at your university right now? 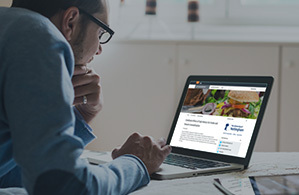 The Digital Noticeboard is aimed at your university or college's IT, marketing and communications, or research officers who manage your organisation's research presence on the web. 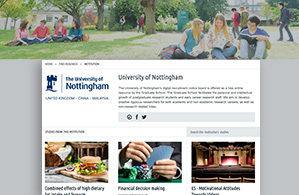 The Digital Noticeboard brings together all recruitment Study Pages that any user from your university has created. 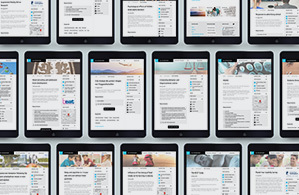 It becomes a beautiful landing page showcasing exciting current and past research that your staff is doing. Digital Notice board makes any Study Page created by your staff or students carry your institution's logos. 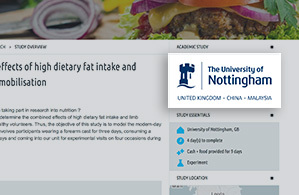 The Digital Noticeboard comes with 1000 Study Pages that your staff and students can use to recruit participants for their studies. This is handled by your university domain so all your staff need to do is log in using their university email address or via UK Institution Federated Access. The best part is - you don't need to do anything. The Digital Noticeboard is fully automated giving you all the benefits above without increasing your staff's workload. This leaves your research administrators doing what they do best - helping your researchers. Setting up your Digital Noticeboard is easy, why not get started now. "Using Call For Participants has allowed me to promote my research to the relevant people from one easy-to-use interface"
"Call for participants made it incredibly easy for me to see exactly how many research studies were currently recruiting at my university and whether or not I fit the criteria in a few quick clicks"
"Call for Participants has been absolutely great for my research...It’s great to have a website that is purely dedicated to recruiting participants for academic research..."
Tried it for first time earlier this year and was really impressed by response. The Digital Noticeboard forms only a part of our product offer for academic organisations.